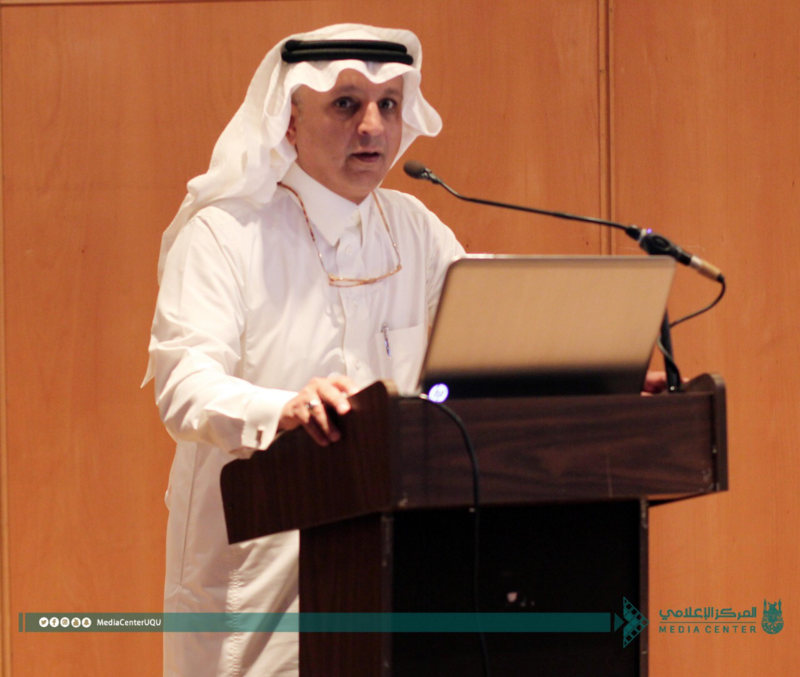 Today, the Deanship of Postgraduate Studies at Umm Al-Qura University organized a forum about the second stage of the development and updating of postgraduate programs, in the presence of the Dean of Postgraduate Studies, Dr. Sa`id Al-Harithi, and a number of vice deans, department heads, and program coordinators. Dr. Sa`id Al-Harithi stated that the mission of Umm Al-Qura University is to provide quality education and outstanding scientific research that serve the community, and Hajj and Umrah performers, and contribute to the development of the knowledge-based economy in line with Saudi Vision 2030. He said, "The deanship has developed a comprehensive modernization plan for all the postgraduate programs that are five years old or more." Twenty-two of the university's colleges participated in the updating and development program. They submitted 157 postgraduate programs, which were sent to the referees out of 195 programs received in the first phase of the project, including Occupational Diploma and Master's Degree, Executive Master's, Academic Master's, and PhD. During the forum, he presented the three stages of the modernization process. The first stage included a study of the needs of the labor market, building programs to meet those needs, and then building academic programs that meet those needs. The second stage was the academic and administrative review of the scientific content, in line with similar international programs, and making sure of the existence of physical and human resources to ensure the achievement of its objectives, as well as the formulation of evaluation indicators. The third stage included the process of accreditation and approval of programs. The deanship has managed all submissions, refereeing and following up through the digital portal created specifically for this purpose. The first stage of the academic refereeing of the programs has already been completed, and the second phase of the plan is currently underway. The entire plan is expected to be completed by the end of the current academic year. The announcement of approval for the next academic year shall begin at the end of Sha`ban, in accordance with the approved plan of the advisory panel at the university.